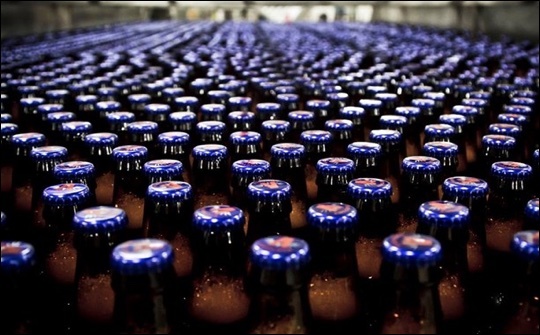 At its state-of-the-art production facility in rural Pennsylvania, the Victory Brewing Company bottles over 100,000 barrels of craft beer annually, which is exported to more than 50 countries. 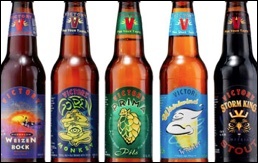 Victory Brewing Company began serving its award-winning craft brews across the bar in a Downingtown, Pennsylvania pub in 1996. And now, less than 20 years later, it operates two brewery production facilities with a combined 312,000 square feet of production. At its new plant in Parkesburg, it has the capacity to turn out 600,000 barrels of every year. More than 60 employees create the beer that is distributed across North America and Europe. “We’re selling beer in 35 states, Canada and throughout Europe. We’re going to continue expanding in double digits for the foreseeable future,” states Adam Bartles, director of brewery operations. Victory predicts growth at 20%-30% annually. Part of a quality beer enjoyment experience is making sure a brew is enjoyed at just the right time. This is what prompted Victory to make placing a date code on each and every bottle a top priority. “Some beers we want to be enjoyed as fresh as possible. Others taste very good of they are laid down and aged for several years. 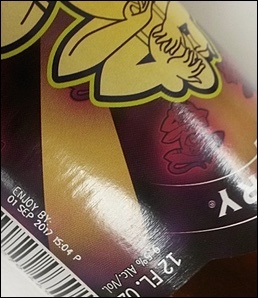 That’s why we put the date on every bottle,” Bartles adds. “In the craft beer industry, we often share our experience with different vendors with each other. When we were challenged with date coding, I reached out to Firestone Walker (Paso Robles, CA-based Firestone Walker Brewing Company) and they said that we should take a look at Domino,” remembers Steven Galliera, director of engineering. Victory Brewing did more than look. They chose Domino’s advanced D320i Laser printers to handle its high-priority date coding task. “One of my first projects here was to put an ‘enjoy by’ date somewhere on the [bottle] label … Here at Victory Brewing Company we use 12-ounce bottles, 22-ounce bottles and 750ml bottles. One of the challenges we had to overcome was to install the laser to be able to incorporate all those different sizes,” says Galliera. Today, Victory Brewing Company continues to trust Domino to help ensure the quality of its beer. “With the Domino laser, and the placement we have now, it’s one less thing for us to worry about,” Bartles concludes.